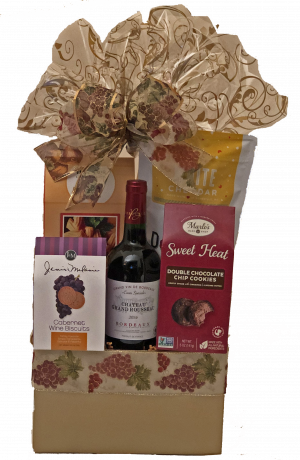 Home / Gift Baskets / Gift Baskets with Wine / Cheers! 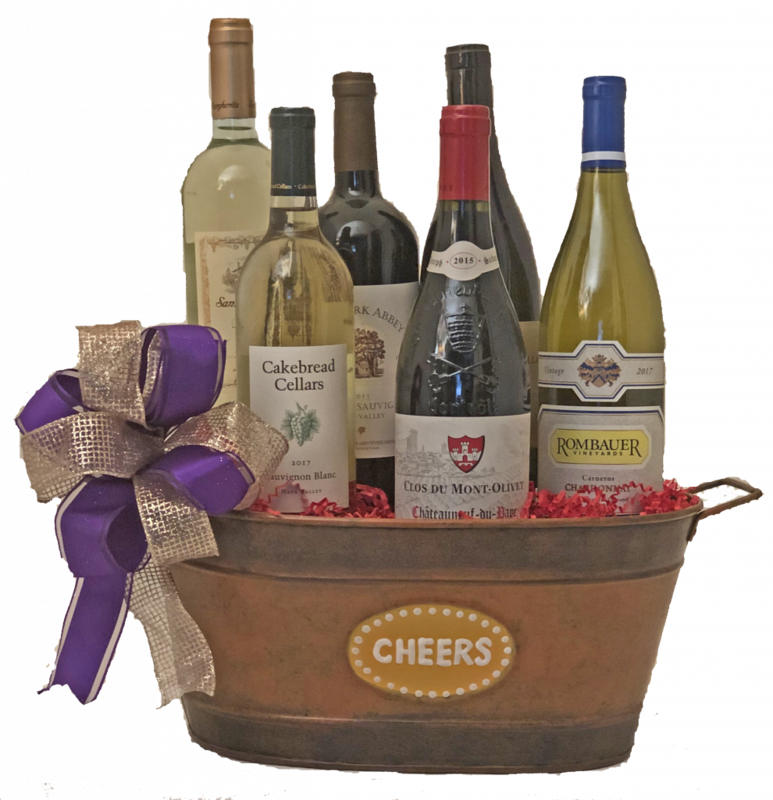 We fill this basket with six bottles of delicious premium wine. 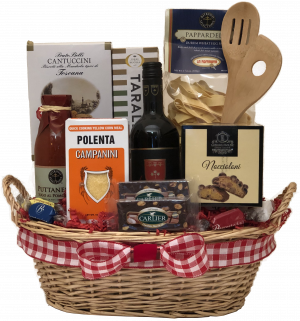 We fill this basket with six bottles of delicious premium wine. 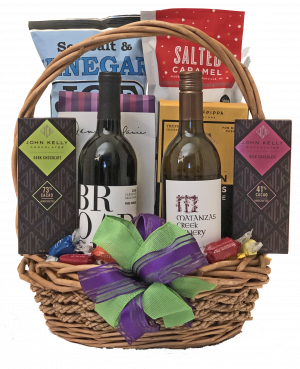 Wine selections include outstanding cabs, charming chardonnays and pleasing pinot noirs. 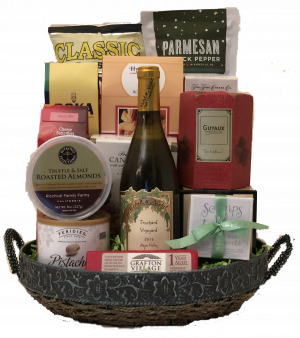 Indulge your friends or yourself with this basket of good cheer!